Welcome to The Lobster Net! 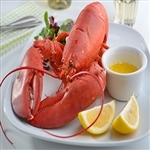 Fresh Premium Seafood, Fast Overnight Delivery direct to your Doorstep The Lobster Net has been selling Live Maine Lobsters and other Seafood products online since 1996. We were one of the first companies to be shipping Maine Lobsters to anywhere in the United States. We take great pride in the outstanding abilities, experience and knowledge of our staff. They understand the unique needs of our customers. 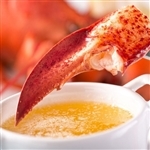 If you are looking for the freshest Maine Lobsters and Premium Seafood delivered direct overnight to your doorstep. We encourage you to browse our products and give us a call. Coast to Coast Shipping within the United States! The Lobster Net has been dedicated in providing great customer service to America. If you have questions regarding the status of your order or any questions of concerns, please call, we'd love to help! Call us at 1-800-360-9520 (Monday thru Friday 8 am to 4:00 pm Eastern Time) If we are not available to answer your call, then please send an Email to, friends@thelobsternet.com. Leave a message at 1-800-360-9520 & we'll return your call A.S.A.P. We would love to hear from you! The Lobster Net specializes in creating custom packages to meet your Holiday needs, plus Corporate gifts, Birthday, Anniversary, or special events! We look forward to helping you get the perfect gift, call us toll free & we will be glad to help! 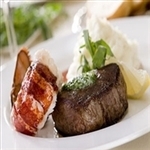 *SURF & TURF SUPREME FOR 8! 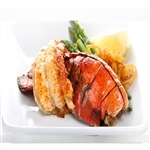 and established in the wholesale seafood business since 1959. 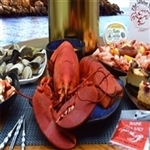 We provide the freshest, tastiest premium seafood and live Maine lobsters to numerous people within the continental US: homeowners, caterers, chefs, restaurants and supermarkets, ordering one or hundreds of live lobsters. We also provide them with a large variety of fresh seafood, including Maine steamer clams, mussels, sea scallops, haddock, crabmeat and more. This is why hundreds of top restaurants and caterers trust us to help maintain their name and reputation every day! Cap Morrill's celebrated its 113th year anniversary in business. Don't forget that the holidays are the perfect time to treat you, or surprise your family and friends with a gift that is like no other! Our lobsters make a great gift idea for that special someone who has everything, except the truly unique gift of tempting live Maine lobsters.